I graduated from the Edmonton's Misericordia School of Nursing in 1974 and worked as an operating room and recovery room nurse until chronic pain forced a move to long term disability in May 1991. In 1992, I started speaking as a person living with pain and telling my story to various groups. I formed a chronic pain support group in Edmonton in 1992, and also organized monthly educational forums for people living with pain and their families and friends. For 18 years I was a board member and then president of the Chronic Pain Association of Canada a non profit organization who's focus was to provide support, awareness and education for chronic pain. Over the years I have spoken frequently at conferences, patient forums, standing committees and meetings concerning chronic pain management and have represented people living with pain on many committees, boards and organizations where pain management is a priority. In 2011, founded People in Pain Network (PIPN). 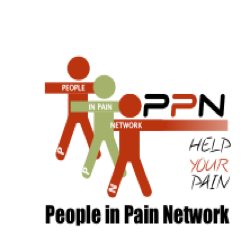 PIPN is a non profit organization dedicated to connecting people in pain and their families to solutions and education to help them manage their chronic persistent pain.